Based solely on their records in London derbies this season, it is hard to predict anything other than a home win as Tottenham host Chelsea, but the fine defensive record of Andre Villas’ Boas men on their travels should ensure they leave with at least a point. Chelsea have lost both games with fellow London foes so far this season, while Tottenham enjoy a perfect 100 per cent record from their three fixtures with capital rivals. Meanwhile, Tottenham can count Chelsea among their more favoured rivals when assessing recent results, as they are unbeaten in their last five games against them. With Chelsea’s recent form also below expectations, a Tottenham victory at 6/4 will look good value with punters. However, they could have difficulty without influential wingers Aaron Lennon and a struggling Gareth Bale and this could work in Chelsea’s favour. Villas-Boas will drum into his team the importance of avoiding defeat if the club wants to remain in pole position in the hunt for a top-four finish and the club certainly has the players within its ranks to produce a match-winning display. Furthermore, only Manchester United have conceded fewer goals on the road than Chelsea this season and the strategy will almost certainly be to keep things tight and look to hit Tottenham on the break. It is 13/8 in the Premier League odds that Chelsea triumph to go third in the table, with the draw available at 5/2. 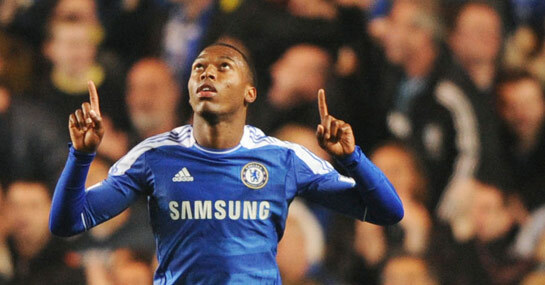 Key to a Chelsea victory will be the performance of Daniel Sturridge, who has the speed and directness to cause problems. He has been slightly wasteful in front of goal of late, but is worthy of consideration at 8/1 to open the scoring. Didier Drogba is on an interesting run of scoring in every other appearance against Tottenham and bearing in mind he failed to find the target in his last clash with them, he may also be a decent option in the first scorer market at 6/1.